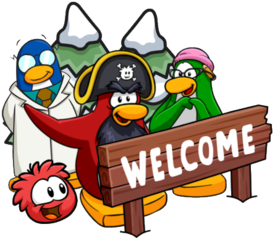 Earlier today, I made a post about Rockhopper Island likely occurring on Pengur, a private server run by the CPR team which is releasing later this year! You can view that post here. However, the team have gone further now by responding to that tweet with a sneak peek of a room, which is almost certainly Rockhopper Island! This was the sneak peek that was released. Whilst the team did state they weren’t sure when it would release, this looks absolutely fantastic, I really like the custom room designs! I’m very excited for Pengur, and hope it releases soon. Be sure to check back for more of the latest news regarding Pengur! Waddle on! Today we’re going to be talking about the possibility of another iceberg around Club Penguin and the possibility of it being Rockhopper Island. If you read my discussion about Scorn and the Medieval Party returning (click here to read it if you haven’t) then you would have noticed how I used the Lodge Attic on Club Penguin as a source of information and idea. I looked at the Lodge a bit more and I did not realise how much left there was to discuss about that single room. It’s got loads of mysteries and they don’t call it the Mystery Attic for nothing! Seriously, here is a part of the tour guide phrase for this room. So today we’ll be investigating the possibility of a new Iceberg located on the island. As you all know, there is currently only one Iceberg that looks like so. Note the shape of the Iceberg. There are no “chunks” of ice coming off the iceberg and it is one big piece, agreed? Well, so do I but at the moment it appears that that might not remain that way. If you have a look at the Mystery Attic (I like that name – oops, not getting distracted) you will notice a map where this black arrow is currently pointing. You will notice a map with a bunch of dotted lines and a white thing. The reason for this is because that image is blury and small so let’s zoom in a bit so we can analyse this properly! 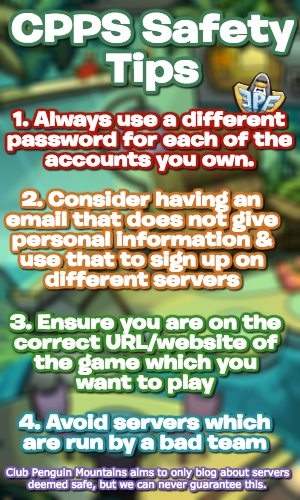 Rockhopper Island. This is an island that has never been discovered before so it could be any shape or size. I think that most penguins would love to be able to discover Rockhopper Island and if this really is true, then we could be visiting Rockhopper Island soon! That’d be exciting. This also fits with the red dots. Perhaps that is Rockhopper’s map on the direction to The Beach on the Club Penguin island. It’s just like Rockhopper to take an unnecessary turn. In 2014, during the Pirate Party, crabs destroyed The Migrator (Captain Rockhopper’s pirate ship that he uses to sail to and from other places including Rockhopper Island). Rockhopper was against having it fixed and decided to build a new one which was supposedly finished in 2015. This design is yet to officially be seen in-game, but people are expecting this is how it would look. Perhaps Rockhopper designed this new ship to let penguins join him on a trip to explore Rockhopper Island. Personally I’d think that’d this would be cool and will solve the mystery located in the Mystery Attic. What do you think? Comment below! Make sure you stay tuned for the posts I’m planning about the remainder of mysteries in the Attic.